The 9-hole Estates Golf Course at Twin Lakes Golf Club in Oakland, MI is a public golf course that opened in 1996. Designed by Ray Hearn, Estates Golf Course at Twin Lakes Golf Club measures 3502 yards from the longest tees. 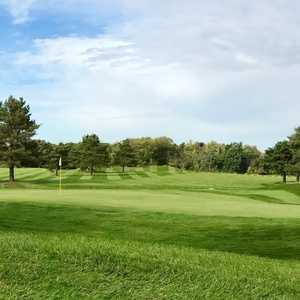 The 9-hole Links Golf Course at Twin Lakes Golf Club in Oakland, MI is a public golf course that opened in 1996. Links Golf Course at Twin Lakes Golf Club measures 3502 yards from the longest tees. The Myth Golf & Banquet used to be known as Beaver Creek before a major renovation in 2007. The former course was transformed into a scenic 18-hole championship golf course and a nine-hole, par-3 course. The short course offers great practice for beginners and it's gentle enough for juniors. It's a good layout for families to play, but more advanced players can also enjoy a fast, casual round of practice. The Myth Golf & Banquet, formerly known as Beaver Creek, tumbles across rolling hills. Situated next to Lake Orion, the golf course sits on protected land that is home to an abundance of wildlife, including sandhill cranes. There is both an 18-hole championship course and a nine-hole par-3 course. 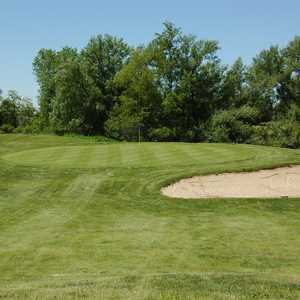 The 9-hole Woods Golf Course at Twin Lakes Golf Club in Oakland, MI is a public golf course that opened in 2005. Woods Golf Course at Twin Lakes Golf Club measures 3502 yards from the longest tees.